Not a lot of action films this year stands out more than others. Some like Olympus Has Fallen and White House Down are, coincidentally and surprisingly, similar. Both didn't manage to make it, although WHD nearly did for its extra dose of fun incorporating a lot of humour in the midst of the gunfights. One film in particular which highly disappoints, is A Good Day to Die Hard, which must be one of the worst action films ever, especially coming from a franchise that should know better. Fast & Furious 6 is a great film, which manages to take things to a whole new level, with actions involving flip cars, tanks, and even planes. 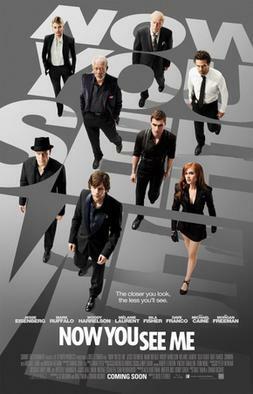 Now You See Me is brilliant as it doesn't feel like a common action film, instead incorporating the likes of magic & illusion to pull off amazing & cool sequences for some awesome action entertainment. 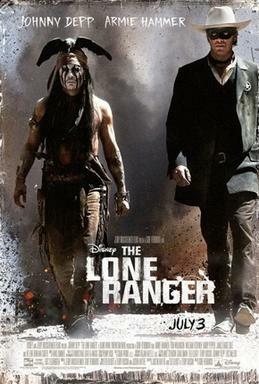 The Lone Ranger is a bit slow paced, but is overall an entertaining experience, especially due to the dynamic of the two main characters. Again, it feels a bit unanimous for myself. The three great sequences on the flip cars, tank, and plane is already on a whole new level, and would have made it the best of the year. Yet, it is more than that. The movie manages to bring back past characters which strengthens the plot points well, and also connecting the franchise one film to another which is a remarkable feature, and puts this film on a big margin away from the other nominees.